She's Fantastic: The Harmonix Collection from WINX CLUB! The Harmonix Collection from WINX CLUB! 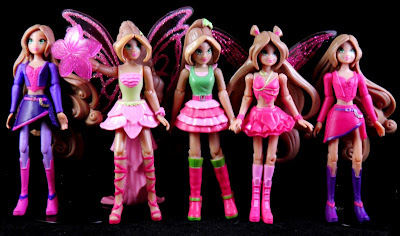 The Winx Club is an Italian Magical Girl series about a group of young girls at a school for fairies. The series incorporates a lot of themes popular in young adult genres. The various competing schools (Fairies, Witchcrafts, Heroics) is very Harry Potter; The transformation sequences are classic Magical Girl; And the way the main characters graduate to different levels of power each season is very Power Rangers. 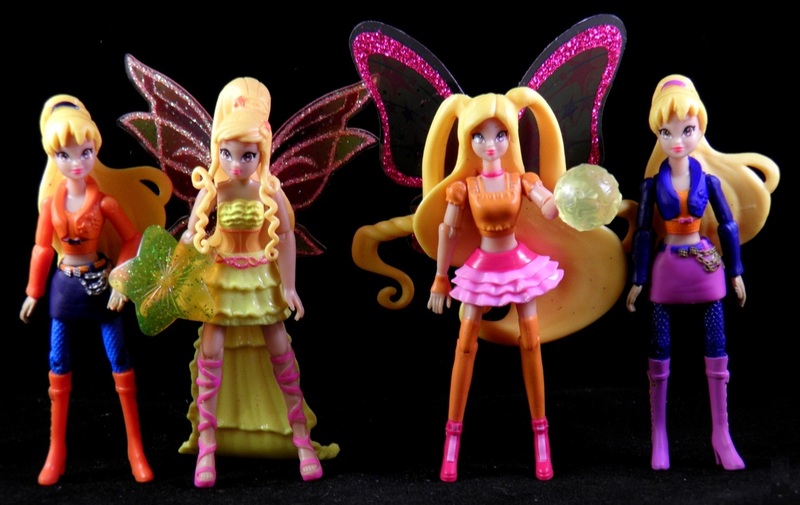 I first discovered Winx Club when I saw a small advertisement for the first series of 3.75" action figures online. I picked one up at Target on my lunch break that day and pretty much got hooked. I guess it's natural that I would be drawn to a series like this, but my dislike of rooted hair and cloth outfits has always kept me at bay from similar properties. I eventually started watching the cartoons online and now I must face the fact that I'm a fullblown fan. This second series of action figures from Jakks has the girls in their underwater Harmonix forms from Season 5. Check them out below! 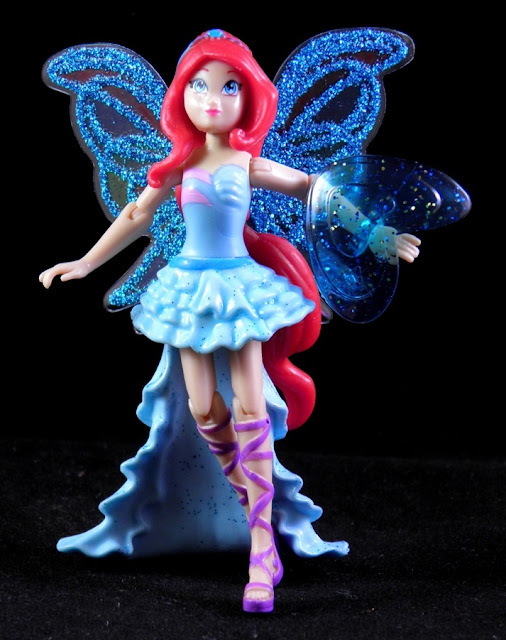 We'll start with my favorite of this new batch, Aisha (the water faerie). I realized the black background wasn't showing off the translucent details of the wings so I'll provide a backlit shot for each other girls. Here are some comparison pics with her Believix form from last year as well as her Concert Collection figure. Stella comes with a yellow Star-shaped energy accessory. Here are some comparison shots with her Believix Collection figure and two variations of her Concert Collection figure. 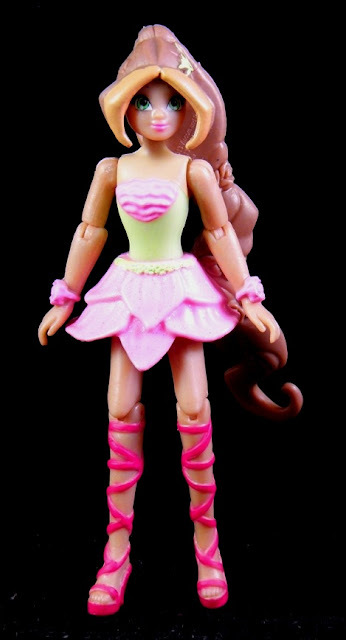 Bloom is my least favorite of this second series. Something about the shape of her face seems wrong. She's still a great toy, just not as good as the rest. 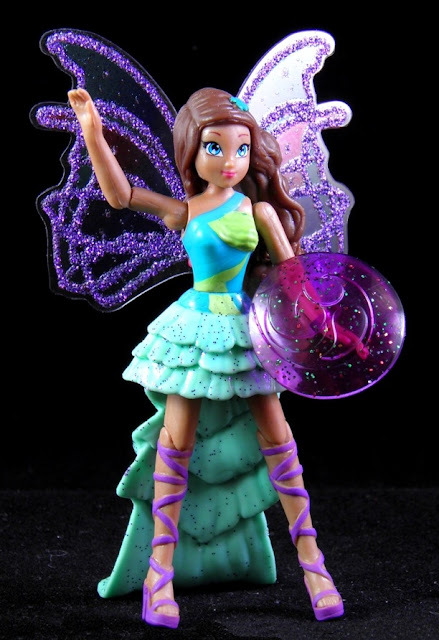 Lastly, we have Flora, the fairy of plants. Here are some comparison shots with her Believix Collection figure, her 2013 Magic Gardenia figure, and two variations of her Concert Collection figure.